The Phyang Monastery is a 3 storied building. 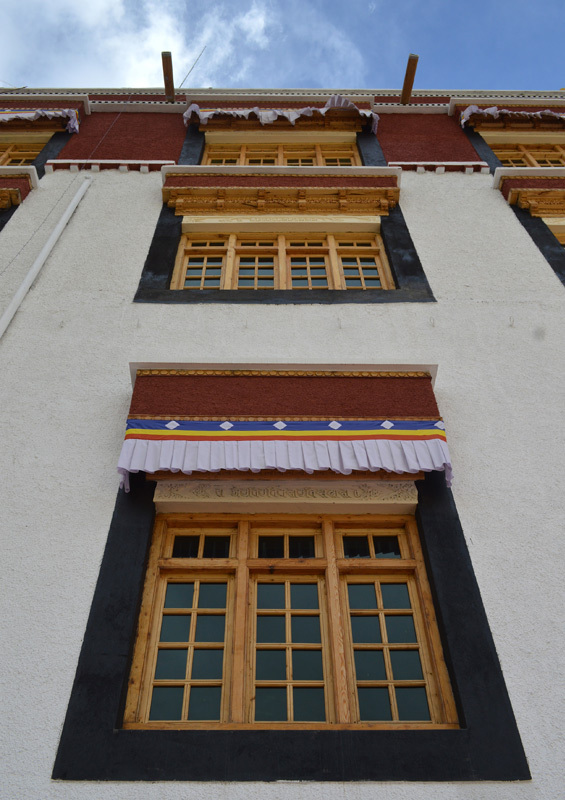 The Ladakhi windows adorning white fabric denote the fact that the rooms belong to senior monks. 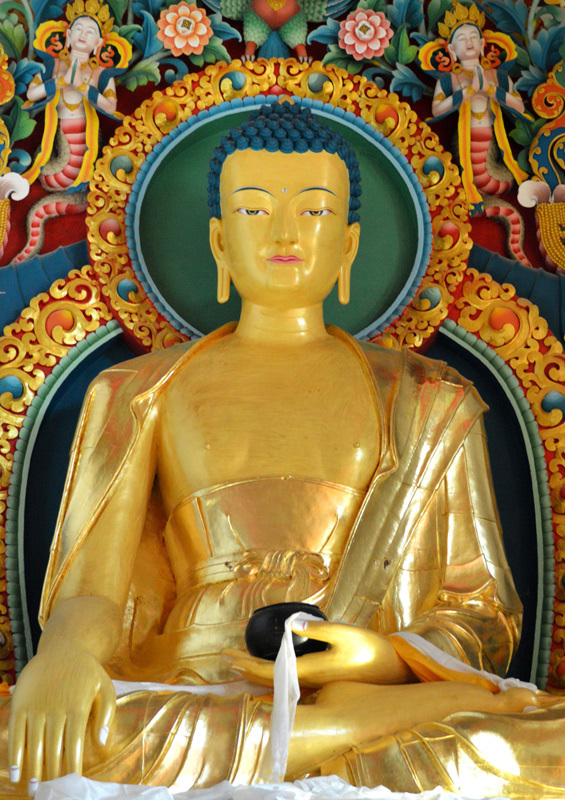 A 20 feet statue of Shakyamani Buddha sits within the Monastery. 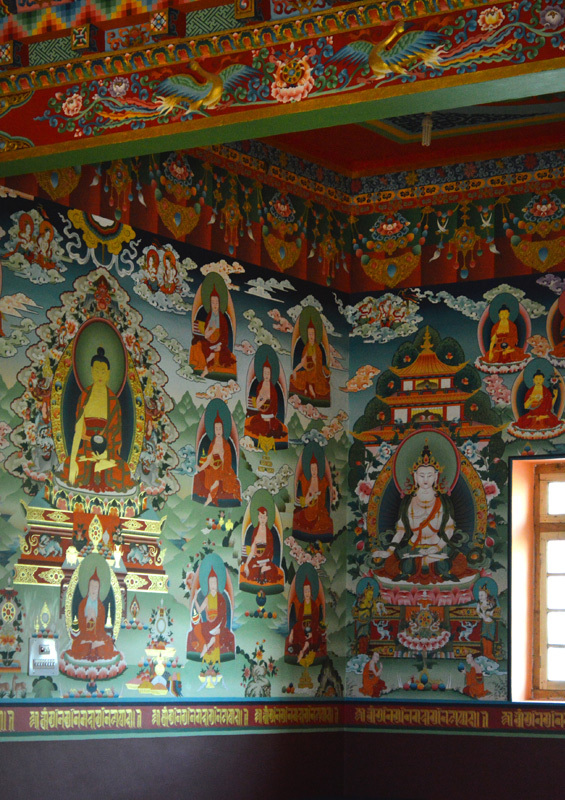 The bright interiors painted by 80 artists have varied imagery derived from Buddhist philosophy. 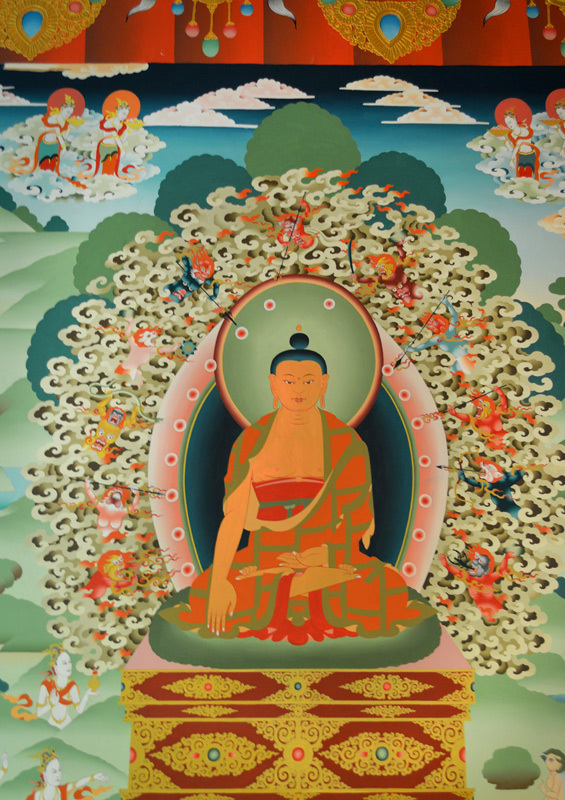 Imagery that depicts stories from Buddha's life can be seen here. 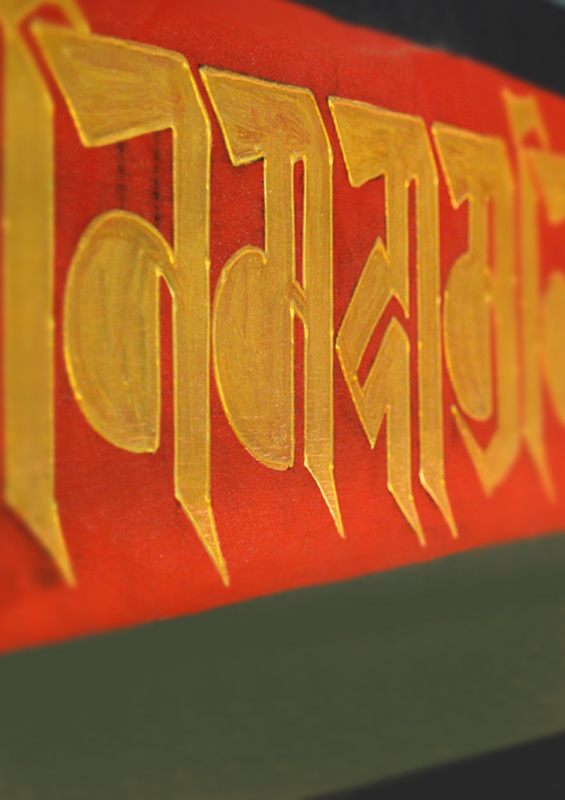 The chant written in the Bodhi script runs along the walls, as a border with delicate tube work. 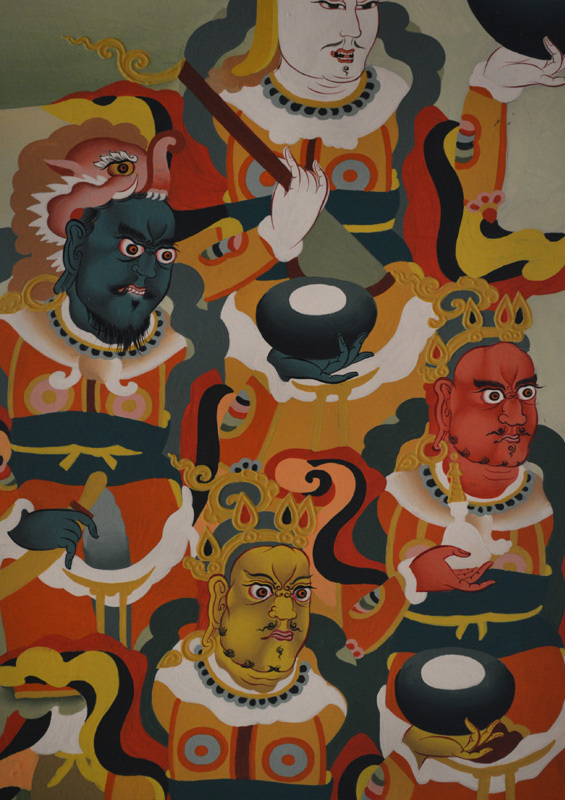 The four kings - protectors of the cardinal directions have been represented as a painting on a wall. 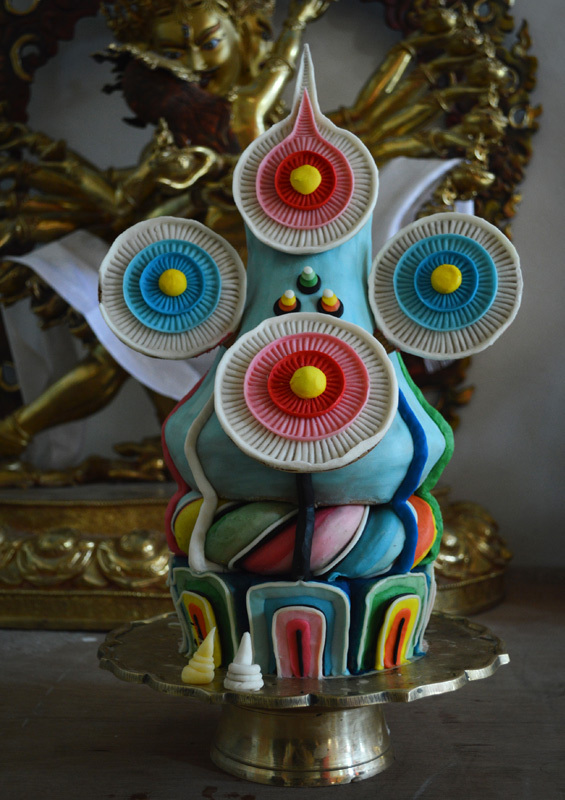 A beautifully made 'Torma' or offering made from barley and yak butter placed before Lord Buddha. The statue of Shakyamuni Buddha as seen from the front. A painting on the wall depicting how inner peace succeeds against external attacks. 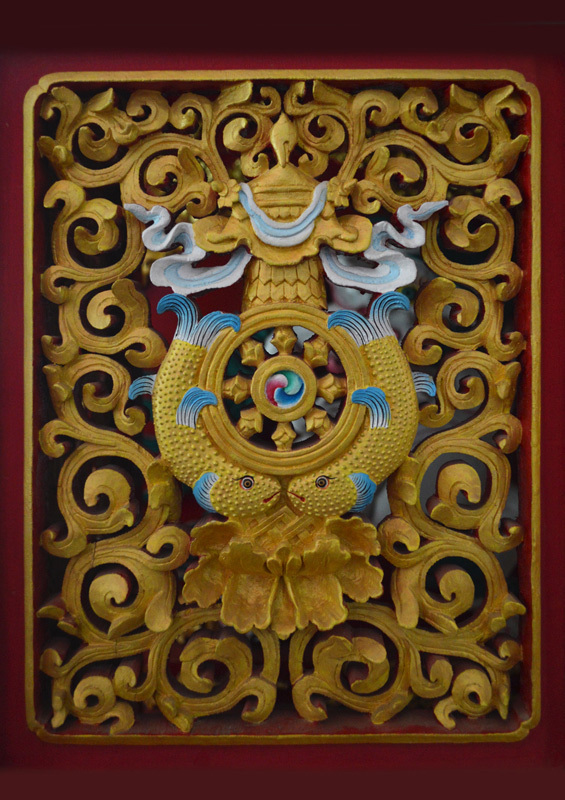 A synthesis of all eight symbols of Buddhism can be seen carved on this gold painted cupboard. The Garuda 'King of Birds' is also created on another niche of the cupboard. Phyang is a hilly village located just outside Leh. 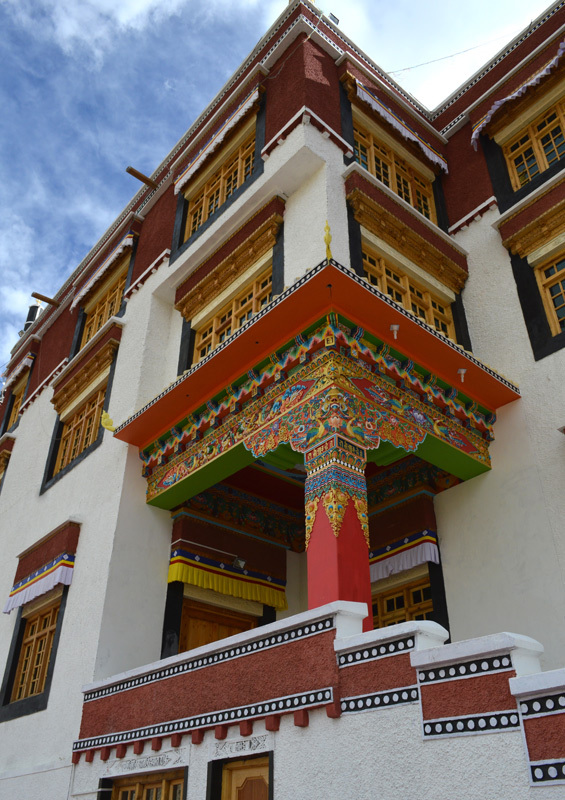 It owes its popularity to the Phyang monastery which is named after a blue mountain. The Phyang Monastery was established in 1515. The current head Lama or teacher is His Holiness Drikung Kyabgon Chetsang Rinpoche. Drikung Kagyu is one of the eight 'minor' lineages of the Kagyu school of Tibetan Buddhism. 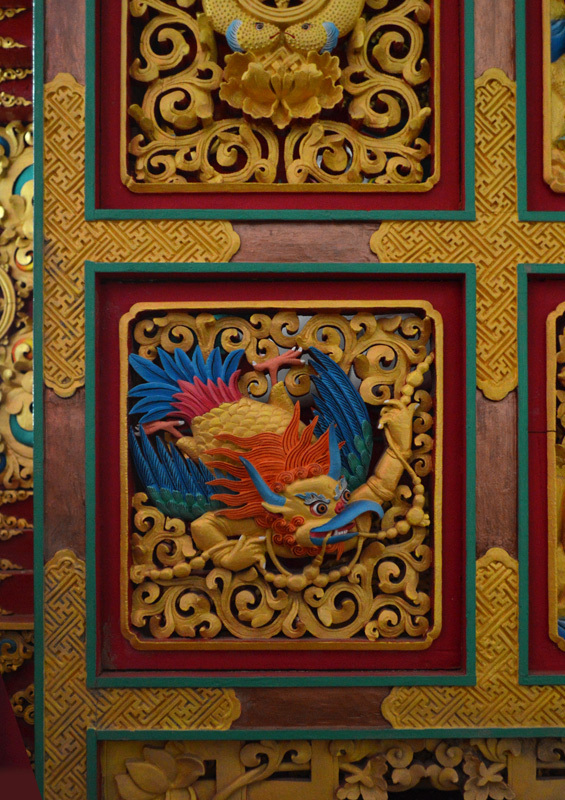 The monastery has been recently refurbished and over 80 craftsmen and painters have put their skills into it. Following the traditional architecture it has been painted in the most vivid colors. Every inch of the niches and pillars outdoors, are covered in rich carvings that have been detailed beautifully. 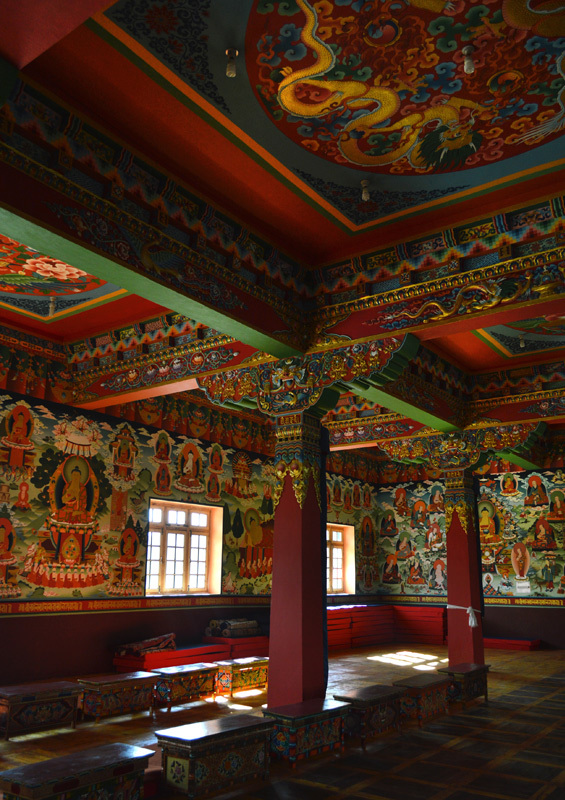 And the walls and ceilings indoors are covered in ritualistic paintings representing the future life of Buddha, the reincarnations of Buddha, the auspicious symbols of Buddhism, along with detailed tantric paintings etc. 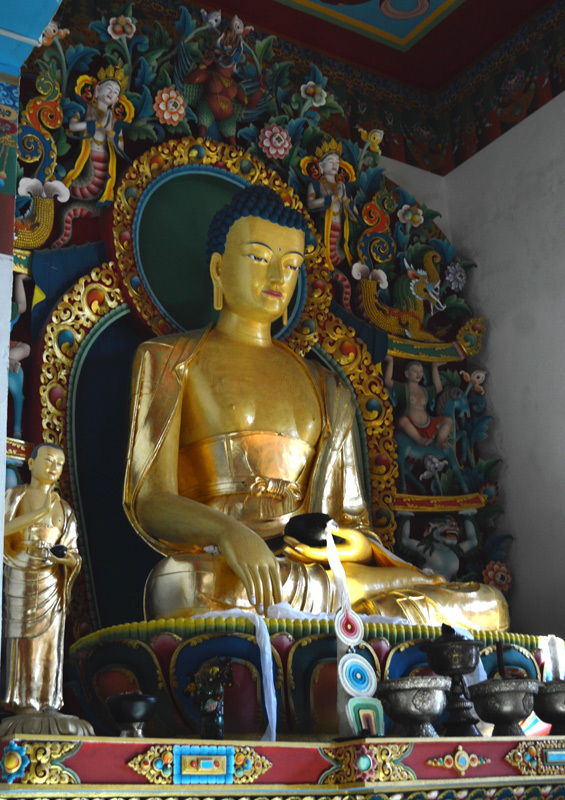 Within the Phyang Monastery there are sacred temples with frescoes dating back to the 14th century.